When Terry at BRS first came to us in July 2017 he was spending in excess of £800 per month on Yell.com advertising. Although this had been a successful strategy in the past, the leads were few and far between and he knew he needed to change his marketing strategy to put BRS where his customers were searching. The problem with the previously successful Yell.com marketing strategy was that less and less prospective customers were using that platform. Instead, Google Maps and Google organic search were the dominant space for these potential customers searching for Terry’s services. The brief was pretty simple; to increase organic traffic by targeting local buyer intent keywords and to leverage the already excellent local reputation of BRS through Google reviews. When it comes to taking on new clients, we are over the moon when it is so apparent from the first few conversations that the service or product we are going to be working to promote is of the highest quality. This was evidently the case with Best Roofing Services who already had a number of 5 star reviews to their name. Having spoken to Terry a few times (initially while he was still on holiday – his choice not ours), it was clear that he understood that the digital space was where his customers were hanging out and that he knew to take his company to the next stage of growth he would have to dominate his local digital space. Terry was keen to help us understand exactly what he wanted out of the project. As well as the standard roofing related keywords he also wanted to target flat roofing specifically. 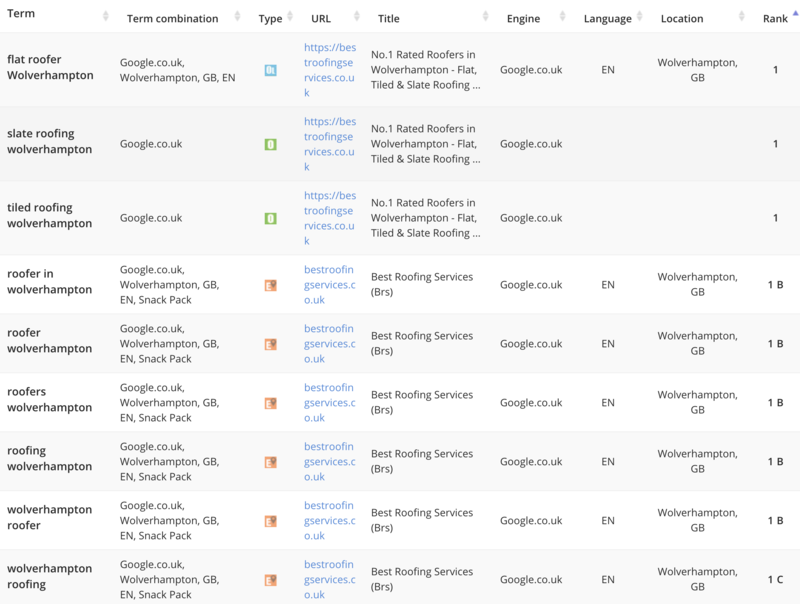 We carried out some initial keyword research and discovered that although Wolverhampton is a small city, there was indeed a decent amount of search volume per month for local roofing keyword searches. We focused the attention on the maps and the standard organic SERPs. Terry had an excellent Google My Business profile thanks to his 5 star reviews but they were often not being displayed in the 3 map pack which meant he was losing a lot of potential calls. Terry’s existing website was also not optimised brilliantly so we decided to give him a complete website redesign for free. The content on the existing BRS website was tired and wasn’t really conducive to best on-page SEO practices. We completely revamped the content and the structure of the website to make it much simpler whilst still allowing potential customers to find out everything they needed to prior to making contact. As well as the content on the website we spent a fair chunk of time fully optimising the Google My Business listing too – as well as ensuring BRS were fully utilising social media – something that Terry has really been on top of (especially Facebook). All elements of link building were handled by Rise Online and this allowed BRS to really outperform the competition. As well as building out the most relevant local citations we also spent a great deal of time on this project to create content that others in the industry would be happy to utilise and link back to BRS from. The project started in July 2017 and we started reporting traffic from August 2017. By the time we reached March 2018 we had more than doubled traffic from low 40’s each month to around 130 hits per month – many of which were converting to customers and at the very least solid leads. In fact, I recall a conversation with Terry at one point telling me that he just couldn’t answer the calls he was receiving as there were so many! Terry now sits comfortably in the top positions for all the keywords we targeted – with the ‘flat roofing’ keywords having moved from page two to position one and BRS dominating the map results for every single keyword we targeted. We continue to work with BRS on a much smaller retainer to ensure that they maintain their position of strength in their sector and that their website continues to perform worry free. 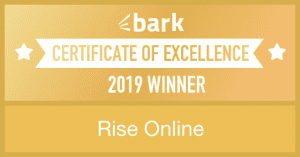 If you would like to find out how Rise Online can help your business experience similar growth then get in touch with me at Jason@riseonline.co.uk or start the discovery phase right now and claim your free video analysis today.